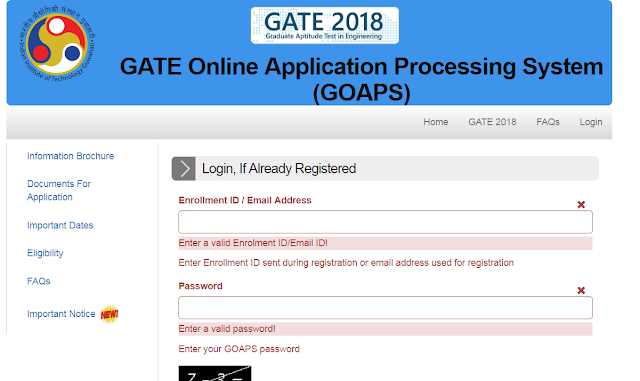 GATE 2018 Admit Card Released : Check Here to Download Call Letter, step by step and exam date. GATE Admit 2018 Card - Check here Admit Card of GATE 2018 Online Examination. GATE 2018 Online Examination will be conducted from 03rd February 2018 onwards. The Candidates who Preparing for The Gate 2018 examination can download his/her Call letter, hall ticket from the Official link as mentioned below. GATE 2018 is schedule to conduct from 03rd Feb onwards , it will be conducted online in 04 days. 1. Click on the GATE 2018 admit card download link mentioned above. 3. Enter a valid password! can you tell me about expected date of result of this exam.